NASSAU, Bahamas (AP) — One year later, the scene hadn’t changed. 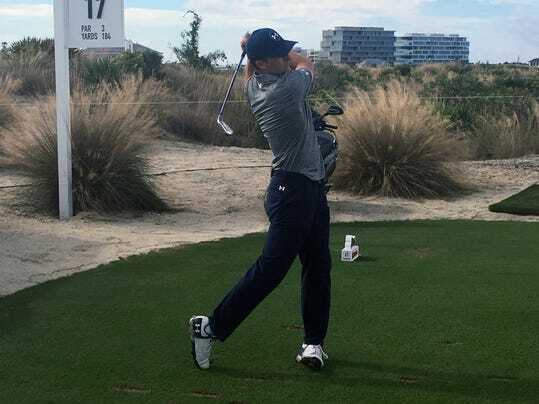 Jordan Spieth paused on the 17th green and looked across the water to the adjacent fairway at Albany Golf Club as Tiger Woods hit his shot to the ninth green, just like he did last year at the Hero World Challenge. Curiosity is just as high over another return from injury for Woods and how he will fare after a long layoff. What’s different about the expectations for this comeback — his fifth since he first had back surgery in the spring of 2014 — is they are more about how long Woods will last than what kind of scores he posts. Congratulations, Here’s Your Medal. And Here’s One for Your Coach, Too.